Long-running darkwave favorites Clan of Xymox — the onetime 4AD act is still centered around founding member Ronny Moorings — return next month with a brand-new studio album entitled Matters of Mind, Body and Soul and are set to precede the record’s release with what’s being billed as the group’s first concert in Los Angeles in more than a decade. The new album — Clan of Xymox’s first in two years — is due out on Valentine’s Day in Europe, according to the band’s website, “since the general mood we can already say is quite romantic.” In the U.S., though, it arrives a few days earlier; the 12-track album is out on CD and digitally on Feb. 11. Clan of Xymox will precede that release with a Feb. 8 concert at The Obscure Lounge in Maywood in southeast Los Angeles County; tickets are now on sale. It’s the only U.S. date currently announced for the group, which also has a number of European concerts slated later this year (see full tour dates below). 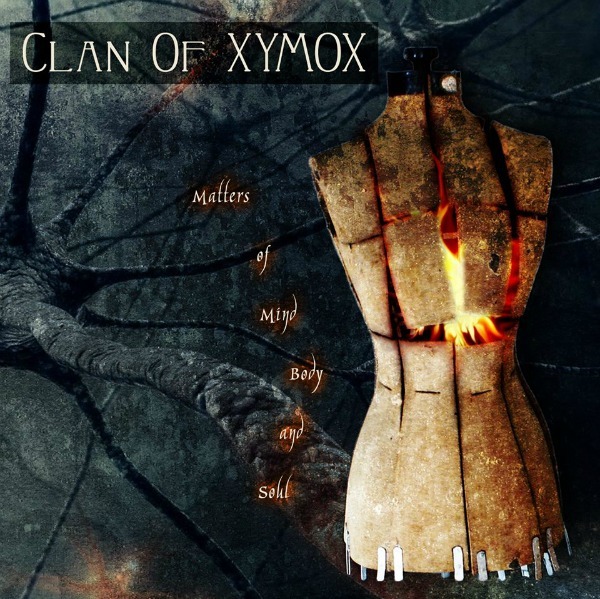 The new album is the first studio record from Clan of Xymox since 2011’s Darkest Hour and follows 2012 covers collection Kindred Spirits. This sounds promising. I’m probably in the minority here, but I have always considered “Twist of Shadows,” with its relatively pop-friendly vibe, to be the band’s high point. I do like the first two 4AD records a lot, but I tend to think Ronny’s songcraft was better by the time of “Shadows,” or at least more applicable to a wider variety of moods. I agree with you. ‘Twist of Shadows’ was brilliant. I need to check out the newer stuff since they reverted back to ‘Clan of Xymox’. I actually like Phoenix era Xymox! Agree, no doubt Twist of Shadows was their peak! “Medusa” all the way for me! A long-time favourite. AFAIC, CoX stopped existing when Pieter Nooten left the band and it became the Ronny Moorings vanity project. Pieter’s last few solo albums are quite amazing, btw. Thanks for the tip! Based on your comment I’ve just purchased Pieter’s latest record “Haven” and you’re right, it’s excellent. Jeez, enough of the awful album artwork. It doesn’t have to be 4AD/v23, but my God this rash of lazy artwork ever since they signed with… Cleopatra? Or is it Metropolis? Anyway, the artwork is completely terrible. I know you don’t judge an album solely by its cover. Ha! I’m glad someone else noticed this — “completely terrible” is being charitable. Sadly enough, this is actually the best cover they’ve had in a while! sorry buys, the artwork looks great!